Seattle writer and frequent SFWA blog contributor Caren Gussoff describes her newest novel, The Birthday Problem, as her “zombie book.” If she’s telling the truth, then The Birthday Problem turns all zombie novels, literally, on their head; in the book, a pandemic-level mental illness caused by malfunctioning nanobots is the root of the transformation. 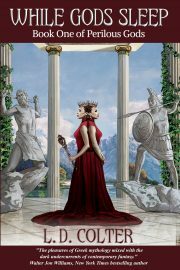 Originally conceived as an homage to Greg Bear’s Blood Music, Gussoff’s novel, out from Massachusetts-based publisher Pink Narcissus Press, strives to answer many of the same questions Bear’s masterpiece does while drawing deeply from her literary background and the Pacific Northwest setting. What is the most interesting way you have explained the mathematical concept of the birthday problem? I’ve mostly just had fun having people guess! I’ve yet to have someone not already familiar with the birthday problem even come close. The birthday problem is a mathematical concept that tests both what we know about probability and the ways we, as individuals, subconsciously think about our own special uniqueness. The problem itself asks a simple question: how many people do you need in one room to have a greater than 50% chance that two of them will have the same birthday? The answer is just 23. You need 23 people in one room, randomly selected, to have a greater than even chance two will share the same birthday. With 23 people, there are 253 combinations of people/birthdays, which brings the probability of two people/one birthday above 50%. Most folks are shocked it’s so few. Firstly, humans tend to be terrible at predicting how probable something is in reality…there are many theories why, but none that fully answer why our subjectivity is so off. Secondly, birthdays have significance in our culture, and we personalize the day on which we were born so much, to the point where it feels unlikely, somehow — though most people can’t fully explain why — that the math shakes out like that. That entire notion, of how we consider probability, and therefore luck, coincidence, and even fate, is a driving theme in the novel…in fact, important enough to give the book its title (The Birthday Problem). –What are you doing to promote the book? I’m traveling a bit — I’ll be in London for WorldCon right after the release (with copies for sale at the Big Green Books table for those that can’t wait). I’ll also be at World Fantasy, and have books at the Broad Universe table. I’m also going to do at least one event in my home city, Seattle (coming in August, details TBD). Lastly, I’m assembling a street team to help get the book reviewed, in libraries, and the like. Street team members get a free copy of the book, as well as other goodies and swag (interested folks can either sign up for my newsletter or drop me an email at my website, www.spitkitten.com). –What other projects do you have coming down the pike, and where can readers find out more about you and your work? The biggest news is that my first contact novella, Three Songs for Roxy, comes out late this year/next year from Aqueduct Press. I’m also finishing finaledits on a writing guide, Creating a Sustainable Writing Process, which is based on a class I teach. That manuscript was crowdfunded on Pubslush and will come out this fall from Eastlake & Roanoke Press. I’m also going to run the class as an online workshop later this year. Additionally, I’ve started research for my next novel, which is based on my story, “Games,” originally published in Destination: Future (Hadley Rille Books, 2010). 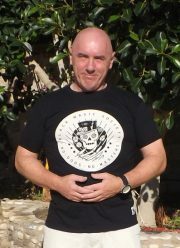 The best way to learn about my work is to visit my website at www.spitkitten.com. I’m active on social media, and can be found as “spitkitten” (@spitkitten, facebook.com/spitkitten, etc). –What’s your relationship with each of the following: Seattle, burlesque, SFWA? Seattle: I moved to Seattle 14 years ago, which makes it the place in which I have lived the longest aside from lower Westchester County (Eastchester and Yonkers, NY) where I was raised. Seattle and I are very good friends who fight a lot, but ultimately respect and enjoy one another’s company. I cemented my relationship with Seattle by marrying a local and importing my father here from the east coast. And I’ve set my last three long pieces in Seattle, which says something about how perfect a setting it is for life and fiction. Burlesque: I had a good few years after my second book (a collection, The Wave and Other Stories, which was, by the by, just re-released in an expanded tenth anniversary edition) when I was absolutely convinced I was done as a writer, and started dabbling seriously in comedic performance and burlesque. It was great timing — this was the beginning of the burlesque revival in the oughts — and I hooked up immediately with some of the greats (I started out as a Gun Street Girl.) I loved being on stage, and now, I’m so glad I have documentation of things before gravity won its battle. By 2005, writing had drawn me back to her miserable bosom, and I retired from performing and got back to work at the keyboard. SFWA: In an industry where success is difficult to quantify, there are certain writing benchmarks that denote achievement and validate your work to your peers and your readers. Becoming SFWA-qualified is one of them. I’ve been really grateful since then for the organization’s support of my work and career and for giving me a venue to talk about writing-related issues (I regularly contribute to the blog). –If you wrote fan-fiction in someone else’s universe, what universe would you like you write in? Firefly would be my low-hanging fruit. There were so many worlds, with varying levels of civility, only hinted at throughout the brief run of the series and the film, and I’m a sucker for the Wild West. I am especially attracted to the amalgamation of the US Civil War, the dominance of China, and the far future tech, as well as the cuss-driven Shakespearean language patterns Whedon did in that universe. –What do you think is the most important challenge facing speculative fiction authors today? Finding the audience for your work. There are so many avenues now for readers, which is great, but it means we have even less of a centralized space for them to find us (like it used to be when there were bookstores for browsing, and that was the locus of primary discovery). It isn’t enough to be on shelves. But it also isn’t enough to have a website, a social media presence, or do a tour. There’s a secret sauce that’s different for each book, and it takes energy, time, and blind faith to discover it. 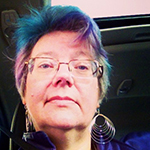 Nebula and World Fantasy Award-nominated writer Cat Rambo serves SFWA as its vice president. Her short stories have appeared in such places as Asimov’s, Tor.com, and Clarkesworld Magazine. She is the former editor of Fantasy Magazine. 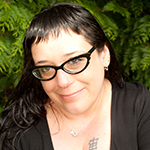 Find links to her work, including information on her first nonfiction book: Creating an Online Presence (Careerbuilding for Writers), at http://www.kittywumpus.net.